West Milford, NJ, January 10, 2019 --(PR.com)-- In response to the economic upheaval caused by the government shutdown, AmpleHarvest.org Inc. has announced that it will be focusing its outreach efforts in the states of the southern hardiness zones, where gardeners are still gardening, for the immediate future. Since its introduction in May of 2009, AmpleHarvest.org has enabled more than 42 million Americans who grow fruit, vegetables, herbs and nuts in home gardens to donate their excess bounty to a local food pantry. AmpleHarvest.org has in the past stepped up during extraordinary events to help more fresh food get to pantries in the area of the critical need. This has included the BP Oil Spill, the tornadoes in Joplin and Tuscaloosa and most recently, Hurricane Harvey. “While most of America’s gardeners are only now starting to think about beginning their gardens in the early Spring, those in the southern most reaches of the nation can grow food year round. We will be working to help growers donate their excess harvest from these gardens at this particularly stressful time – especially for the families of Federal employees and those who are impacted by the resulting reduced money in circulation,” noted Oppenheimer. AmpleHarvest.org has created special public awareness campaigns targeting these gardeners. “The one glimmer of hope in this ongoing crisis is that gardeners in this part of the country are able to grow food, and therefore help out local food pantries and the families they serve, year round,” according to Oppenheimer. 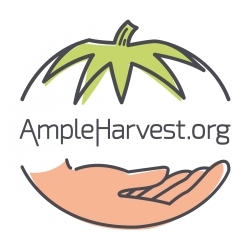 AmpleHarvest.org, Inc. is a not-for-profit organization that is diminishing food waste and hunger in America by enabling the nation’s 42 million gardeners to easily find a local food pantry eager for their garden bounty. For more information, visit www.AmpleHarvest.org or call AMPLE-6-9880 (267-536-9880).